There is a man who wears red and lives at the North Pole who, one Christmas Eve, delivers presents to children all around the world. 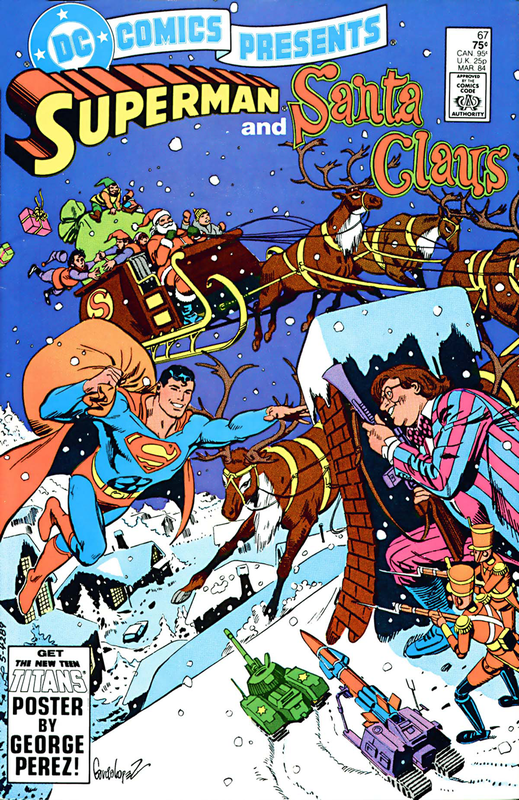 From this comic, where Superman teamed up with Santa Claus to stop the villainous Toyman from corrupting children with his evil toys. 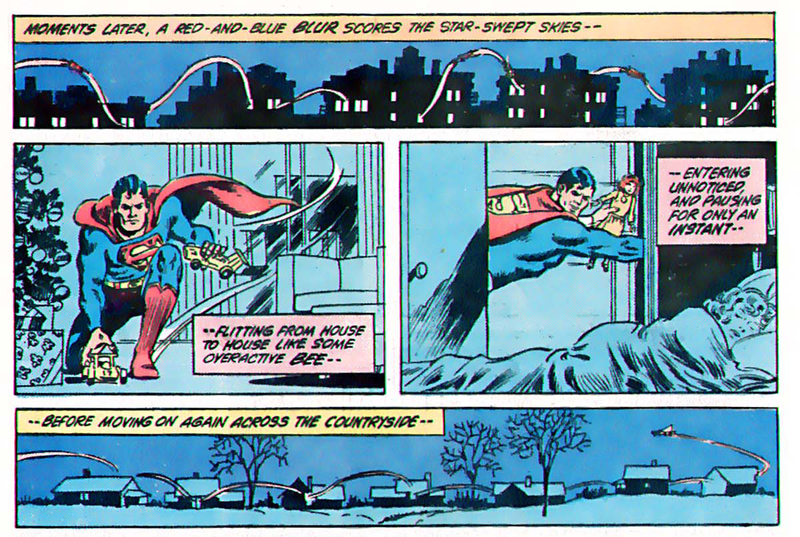 The best part is when Supes, of all fictional people, doesn’t believe in Santa. At least Santa shows up on the NORAD tracker. BONUS: Had to post this pic from the ’40s just for fun. Posted on December 24, 2014, in Fun Stuff, Hey! Comix! and tagged 80s, comics, fun stuff, Superman. Bookmark the permalink. Leave a comment.